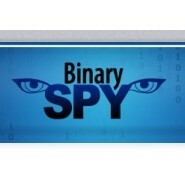 A Brand New idea - Fantastic Forex Software that can predict the price of any currency with never before seen accuracy! With this recently discovered combination of forex secrets working together in SYNC, you will forget about FALSE SIGNALS, LAGGING, RE-PAINTING and losing trades! Dear traders: Now you can double your chances of winning in forex each time you trade using the new absolutely amazing Ultimate Buy Sell Secret indicator software never seen before. Using sophisticated IT technology where a combination of Forex tools and price secrets are bundled up to work together can indeed produce something absolutely remarkable. Something that is amazingly powerful at all times and fully capable of making a profit with almost every single trade that you make. The brand new Ultimate Buy Sell Secret indicator uses the latest and most sophisticated technology ever conceived for making market predictions before they even occur. The most powerful functionality ever used in forex is now available to you via this tool. Believe it or not, you will experience something never thought that it was possible of doing but indeed so smart and profitable. Trust me traders, once you apply this totally unique tool to your platform, you will never use any other tool ever again and that’s guaranteed. A Major Problem in forex has now been solved- With a combination of tools working in sync, get rid of most false signals COMPLETELY and thus maximise your chances of making profit each time you trade in forex! With the Ultimate Buy Sell Secret software we have taken trading to a different level so that you can get the most out of your trades. This tool does something amazing. Something that no other tool was ever even close to doing before. Having the power of multiple tools and secrets working together in sync is something extraordinarily powerful. With the Ultimate Buy Sell Secret this powerful functionality itself is handed out to you in one tool so that you will never again face any big losses in forex. How’s does that sound? Now you can completely forget all about multiple false signals which are themselves indeed every trader’s nightmare in copying with. Any market movement won’t have to be randomly guessed anymore but instead well known in advance. No, I don't say this tool is a Holy Grail, but it is my most profitable buy/sell day trading tool - Try it and you will feel the difference... it's simply fantastic! and you know that... : As you are reading this letter, the software is actually producing for us and many other "Ultimate Buy Sell Secret" owners real cash....it has been since we fired it up on our live accounts and it continues to nail trade after trade profitably, accurately and most importantly....Almost completely RISK FREE! In that way, forex traders can now have all the assurance that they need as more efficient and accurate results will be presented. Knowing at which levels a given price will open and close position, you can act appropriately at each time for either entering or exiting a trade. The Ultimate Buy Sell Secret indicator will instantly alert you when to buy or sell a given currency pair, or even allow you to place smart stop loss and take profit levels. In that way this amazingly predictable tool allows you to obtain profit in a unique ultra profitable way. That we have done is absolutely fantastic. Whether we want it or not, the fear of loss is always present for all traders. I’m sure you must have experienced it too if you been trading forex. However, don’t worry too much. It’s all natural. When it comes to the forex market, we all get greedy when we make some money and even greedier when we want to get back what we have lost. If however you want to become a successful trader, you must find a way to eliminate those emotions and start being more consistent with your trades within the market itself. Once you achieve that, you will sooner or later notice that the fear of loss will gradually diminish. Unfortunately most tools used in forex nowadays can’t allow you escape from that fear. Tools that always promise the world but fail to deliver are more likely to make you very sceptical in trading again with them. As a trader you definitely need more assurance with your trades. We all do. If you however somehow knew for a fact that one way or the other you will not lose in forex, then you can imagine that the fear of loss will completely vanish. 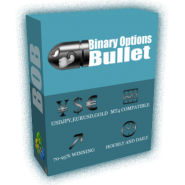 The MOST PROFITABLE tool that works on any time frame and currency pair. No experience whatsoever. Now it is that easy! 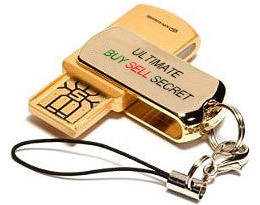 Thanks to the new amazing super powerful Ultimate Buy Sell Secret indicator, you will get to trade differently. A way of trading where you will no longer experience any fear at all. Can you actually believe that? Now you can build up your trading confidence to an unimaginable scale. Now with the Ultimate Buy Sell Secret it is now possible to make profit in forex as easier than ever done before. Don’t forget that the reason for this unique tool’s existence is because it aims to make profit in the most possible newest way. That’s exactly what this tool is capable of but however in a way that is completely unique compared to any other competitive tools in the market. Now you can completely forget all about failing again in the market. No matter how experienced you are in forex, the Ultimate Buy Sell Secret does not require any knowledge whatsoever and what’s best, it’s super profitable. Wow, that’s amazing. Trading with Ultimate Buy Sell Secret is now done differently. Fear of loss is almost COMPLETELY VANISHED. Spending countless hours in front of your computer constantly watching market movement can be boring and most definitely not desirable for any trader. Somehow there had to be a way of getting rid of this endless everyday boring hassle. For this exact reason we are so delighted because we have some great news for all of you traders. With the brand new super powerful Ultimate Buy Sell Secret indicator tool we took it to a new level and you no longer have to do this anymore. From now on you are completely off duty. Once a signal is generated you will instantly receive an automatic alert right to your email address, on PC or mobile phone for either buy or sell. This tool’s simplicity is far beyond any other tool ever made and is here to change your way of trading that you so long thought was right. Using the fastest tool to predict market movements you will never get to miss out on a profitable trade, that’s guaranteed. You will not become a billionaire and make 2 billion dollars over night but after experiencing this tool on a daily basis I can tell you that it is EXTREMELY PROFITABLE - like never before ! Every once in a while a revolutionary product comes along to change the way we do things. In the forex case, producing something which is both profitable and extremely easy to use is not an everyday experience. After years of research and development on one, I know for a fact that the Ultimate Buy Sell Secret is the kind of software which can really dazzle in forex. Believe me, because it is true! The unique combination of both forex tools and price action secrets in sync is unbelievably profitable and thus makes this tool the most accurate one on the market for making market predictions. Bear in mind that we are not talking about a tool which does random price guessing but instead a fully consistent and powerful tool which can indeed come up with the most accurate predictions you have ever seen before in forex. The Ultimate Buy Sell Secret knows in advance where the price will actually go. 250 pips in just 1-2 days on a single pair? The way however this is carried out is extremely unique and definitely much more successful than ever before. With the new magical combination, you will now only receive a signal to place a trade if everything is in sync. In that way, your chances of predicting the market are so much better compared to other monotonic tools nowadays used in forex that constantly produce false signals. Trading is no more impossible and definitely not difficult to perform, Thanks to this unique new product one could think that every day trading is a piece of cake. Its simplicity is beyond all imagination and once used results will be impressive. That’s guaranteed. The new unique Ultimate Buy Sell Secret uses the latest and most sophisticated technology in generating the fastest signals in the market and thus accurately predicting where the price of any given currency pair will go. Having multiple tools working simultaneously is definitely more effective than any tool working on its own. The way Ultimate Buy Sell Secret tool operates is to produce something amazing and thus so powerful. Double confirmed signals of when any given currency pair will go up and down are generated followed by a third and final signal in order to ensure that any trades will successfully be completed. In that way you stand more of a chance of making accurate market predictions than any other tool (in my opinion) you have ever used in forex before. Get immediately alerted once a signal is generated with double arrows, line indicator, alert, sound, email alerts - all in one! NO MORE watching the market..
With the new amazing Ultimate Buy Sell Secret you can now change your trading experience in a most pleasant and enjoyable way unlike the typical way that it’s always full of stress and anxiety. Can you really imagine not having to watch your trading position at all? Now you don’t! Any trade can automatically hit the profit or stop loss without having to worry about constantly watching the market itself. Trading with such profitable tool, you have no more concerns nor any stress and worries. Knowing for a fact you can walk in and out of market with profit every time does indeed do the trick! Yes, the Ultimate Buy Sell Secret is SPECIAL. Why? Trend movement is known in advance! Now you no more have to worry about any re-paint on your charts. Any BUY or SELL signal produced will not disappear again and thus not mislead you each time a repaint shows up within your charts. That’s something so assuring your trades in a unique way within the market and ultimately giving you the opportunity to make more and more profit each time you trade. With the Ultimate Buy Sell Secret you can achieve something amazing. Something which will highly increase your chances of making profit. With a tool that dazzles you can now you can choose to be STRESS FREE! The Software does not RE-PAINT! Yes that’s correct. The brand new Double BUY-SELL Arrow’s advanced technology used makes it one of the most successful forex tools ever used. A unique combination in sync produces fast entry singles in placing a trade. Once any market movement is predicted accurately, successful trades can then be carried out as easier than ever before. Choose the currency of your choice that you would like to place a trade. Decide what action you want to perform concerning that trade. Either buy or sell. Once a trade has taken place, the exit point will get printed on your chart. That’s it, you now over and done with. With the Ultimate Buy Sell Secret is that easy. 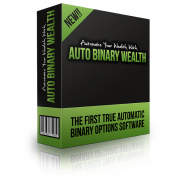 · Uses a unique system via a combination of multiple tools and price secrets working together. · Fastest tool in generating trading signals. 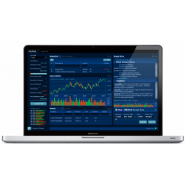 · Works with any time frame and currency pair. · No technical knowledge is required. Anyone can now make money safely using this amazingly profitable and easy to use new Ultimate Buy Sell Secret indicator. It can be used by any kind of traders either novice, or professional. Bear in mind that the power of multiple tools is now combined in to make the most amazing indicator tool ever made in the history of forex. In that way you can get the most out of it, and thus the best trading experience you ever had as a trader. The magical Ultimate Buy Sell Secret tool will once and for all put an end to your confusion towards forex. No more knowledge of the boring market analysis material is now required to learn nor spending lots of time watching the market - the software will give you all signals automatically. Simply following the tool’s generated signals on when to trade is simply enough to become a successful trader and therefore make the most out of your trades. The Ultimate Buy Sell Secret is the easiest to install tool. It takes only a couple of minutes. It is extremely easy to follow with your trading platform and a perfectly suited tool to start trading right away. Do not wait any longer; do not waste your chance to start making profit now.